1956: Little Richard recorded “Long Tall Sally”. 1968: The Beatles turned all of their business affairs over to the newly formed Apple record company. 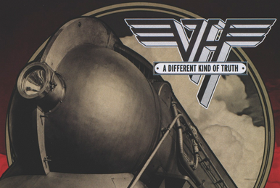 1978: Van Halen’s debut album was released. 1993: Michael Jackson granted his first interview in 15 years to Oprah Winfrey. In the interview, Jackson claimed that he has a disorder that destroys the pigmentation of the skin and that he had had very little plastic surgery.